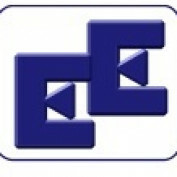 Eisma Enterprises is a management company based in the Netherlands. Lead by CEO Sjoerd Eisma, the company takes on projects and establishes promotional activities and a sound structure for the companies it runs to work from. Are you looking for pain relief? Be it from day to day life, sports or a medical condition, pain is part of everyone's life, and Painmaster is a new, effective and drug free pain relief method!